Turn your rifle or handgun into a short-range shotgun for eliminating pests in tight corners. Fine lead shot in a frangible plastic capsule are excellent for stopping pests. 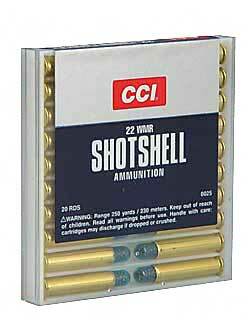 Shotshells fired from a rifled barrel are best used at ranges under fifteen feet. NOTE: Not intended to cycle in semi-automatic firearms.